Wen is the first Asian-American woman president in the group’s 102-year history and the first doctor to lead the organization in nearly 50 years. For Wen, whose innovative policies have already garnered favorable national exposure via TED talks and positive press coverage, it’s the continuation of a sparkling career trajectory. Among colleagues around the country it widely was expected Wen would serve in the Clinton cabinet. For Mayor Catherine Pugh, however, it’s one more key vacancy to fill, as top officials continue to leave her Administration. “Dr. Wen has achieved national leadership on a broad range of public health issues, which has also led to national recognition for the Baltimore Health Department,” Pugh said, in a statement today. 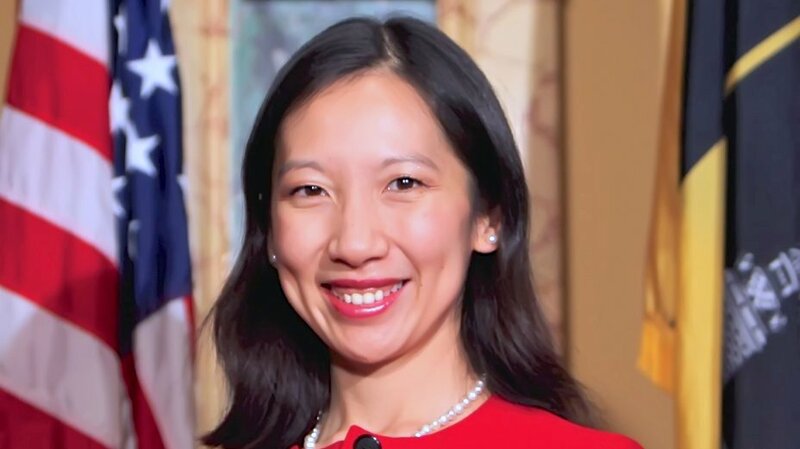 As head of Planned Parenthood, which serves the health needs and advocates for the reproductive rights of women, Wen acknowledged she is taking charge at a challenging moment, with Republican critics pushing to cut the group’s funding and to overturn Roe v. Wade. Wen was appointed commissioner in 2014 by then-mayor Stephanie Rawlings-Blake. Pugh noted in a news release that Oct. 12 will be Wen’s last day and that she has commenced a national search for Wen’s replacement. Meanwhile, no results so far from another high-profile Pugh Administration national search – the quest for a commissioner to lead the troubled Baltimore Police Department. Following following Darryl De Sousa’s resignation in May amid federal tax charges, Gary Tuggle remains as Interim Police Commissioner. And in August, Mary H. Talley, Baltimore’s director of human resources and chief human capital officer, resigned abruptly. Talley’s department had been the subject of a critical audit the previous August. Filling some of these vacancies has taken time for Pugh in some cases. The national search for a permanent CEO to lead the Baltimore Office of Promotion & the Arts took a year. And even though Pugh conducted a national search, she ended up selecting an insider, Donna Drew Sawyer.